Shinji Urata, Tadatsune Iida, Masamichi Yamamoto, Yu Mizushima, Chisato Fujimoto, Yu Matsumoto, Tatsuya Yamasoba, and Shigeo Okabe. eLIFE 2019;8:e40946. Published online 2019 Jan 18. Tuerdi A, Kikuta S, Kinoshita M, Kamogashira T, Kondo K, Iwasaki S, Yamasoba T.
Dorsal-zone-specific reduction of sensory neuron density in the olfactory epithelium following long-term exercise or caloric restriction. Scientific Reports 2018; 8(1), 1-16. Rumi Ueha, Kenji Kondo, Syu Kikuta, Tatsuya Yamasoba. Title: Cigarette smoke-induced cell death causes persistent olfactory dysfunction in aged mice. The adhesion molecule cadherin 11 is essential for acquisition of normal hearing ability through middle ear development in the mouse. Kiyama Y, Kikkawa YS, Kinoshita M, Matsumoto Y, Kondo K, Fujimoto C, Iwasaki S, Yamasoba T, Manabe T.
Noisy vestibular stimulation increases gait speed in normals and in bilateral vestibulopathy. Iwasaki S, Fujimoto C, Egami N, Kinoshita M, Togo F, Yamamoto Y, Yamasoba T.
Brain Stimul. 2018 Jul – Aug;11(4):709-715. Influence of the location of nasal polyps on olfactory airflow and olfaction. Nishijima H, Kondo K, Yamamoto T, Nomura T, Kikuta S, Shimizu Y, Mizushima Y, Yamasoba T.
Int Forum Allergy Rhinol. 2018 Jun;8(6):695-706. Ethmoidectomy combined with superior meatus enlargement increases olfactory airflow. Nishijima H, Kondo K, Nomura T, Yamasoba T.
Laryngoscope Investig Otolaryngol. 2017 Feb 10;2(4):136-146. Cigarette Smoke-Induced Cell Death Causes Persistent Olfactory Dysfunction in Aged Mice. 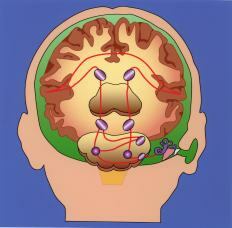 Ueha R, Ueha S, Kondo K, Kikuta S, Yamasoba T.
Front Aging Neurosci. 2018 Jun 13;10:183. Reduction of Proliferating Olfactory Cells and Low Expression of Extracellular Matrix Genes Are Hallmarks of the Aged Olfactory Mucosa. Ueha R, Shichino S, Ueha S, Kondo K, Kikuta S, Nishijima H, Matsushima K, Yamasoba T.
Front Aging Neurosci. 2018 Mar 27;10:86. Title: The effects of posterior nasal neurectomy on the pathogenesis of allergic rhinitis in rat. The ISIAN Award the 1st prize.